The annotation en publication of the diary of Frederike van Uildriks (1854-1919), titled De liefde en vrijheid natuurlijk!, forms the occasion for this exhibition. 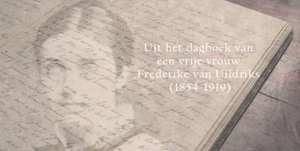 Frederike van Uildriks contributed, just like her contemporary Aletta Jacobs, to the emancipation of women. The academic environment of Groningen is an essential start for both women. In this exhibition a few themes from the diary of this ambitious young woman, who lived in Groningen at the end of the nineteenth century, are highlighted. Frederike eventually makes writing her profession and develops herself as a renowned publicist . 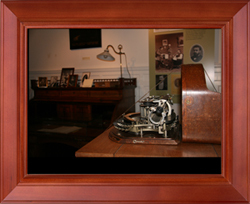 This exhibition is supported by VSBfonds. More information (in Dutch) on Frederike van Uildriks, her diary and the various activities in connection to this exhibition can be found on: www.frederikevanuildriks.nl . Last modified: 21 November 2018 1.52 p.m.